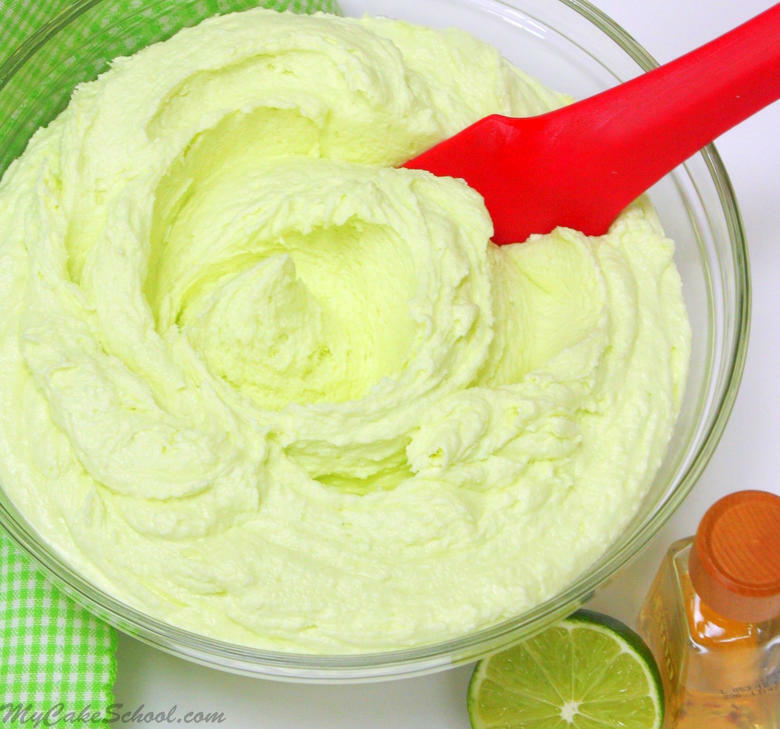 Our Margarita Cake recipe just wouldn’t be the same without this delicious and simple Tequila Lime Buttercream! Just the name itself sounds like a party, doesn’t it? I have to admit that I was a little skeptical at first about how adding tequila to buttercream would go over. I didn’t know if there would be enough tequila flavor to be noticeable…and for that matter, if it would be any good! 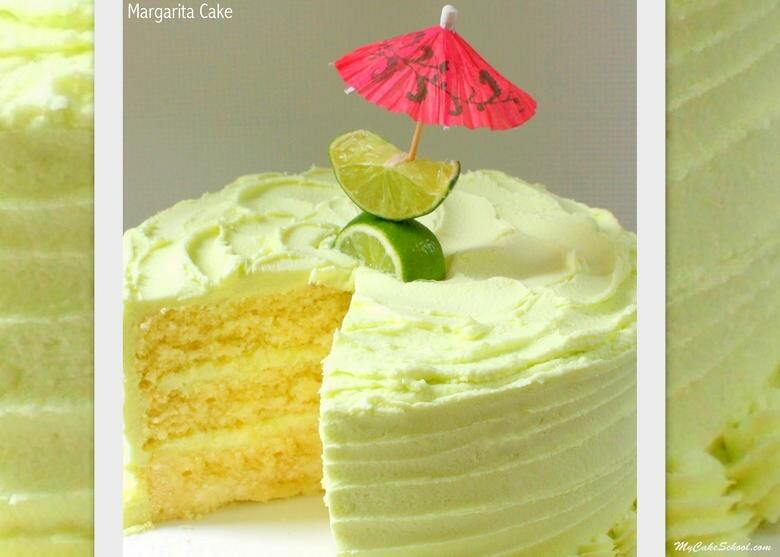 As it turns out, the tequila-lime combo works perfectly when combined with buttercream, and is just what our Margarita Cake needed! Although we only used three tablespoons of tequila in this generous batch of frosting, we found the flavor to be unmistakable without being overpowering. However, if you like a stronger tequila flavor and are feeling adventurous, go for it! You can easily substitute out the milk in the recipe for more tequila (and then some). Enjoy! 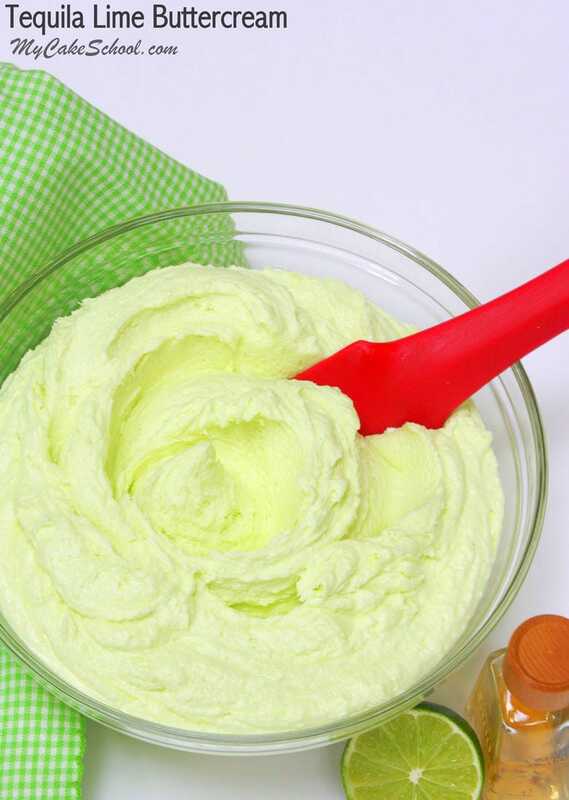 Cream the softened butter until smooth. Add the salt and slowly add the powdered sugar until mixed with the butter. Add the lime juice, tequila and milk. Mix on medium speed for 3 minutes. Scrape the bottom and sides of the bowl and mix an additional 3 minutes on slow speed until creamy. Hi Melisa Diamond. I would love to join you to learn how to bake cakes and decorate them. You are such an inspiration my dear. I have looked for a school where I can learn all these but I found your online cake school. I don’t know how to pay for 1 year lessons as I am in Botswana in Africa. I don’t have a credit card.